On the weekend of the 11th and 12th of July, just under 20 young people aged between 11-18 from the Croydon Corps along with a few adults travelled to Ellesmere Port, just below Liverpool, to run a workshop, participate in a talent show and lead Sunday morning worship. On arrival we were greeted by those at the Ellesmere Port Corps with food, cards, and a large personalised cake! We then got about running three activities, namely sport, crafts and music. This gave us all a chance to get to know the people we would be spending the weekend with. On Saturday evening, the talent show presented a chance for the youth of both Croydon and Ellesmere Port to perform, with acts including karaoke, singing, piano and cornet solos, as well as some stand up jokes! The Chicago Staff Band visited Croydon and presented an evening of music and testimony. The band arrived from an afternoon visit to Buckingham Palace and enjoyed a tea with entertainment by some of the members from Croydon Salvation Army’s junior choir (The Singing Company). 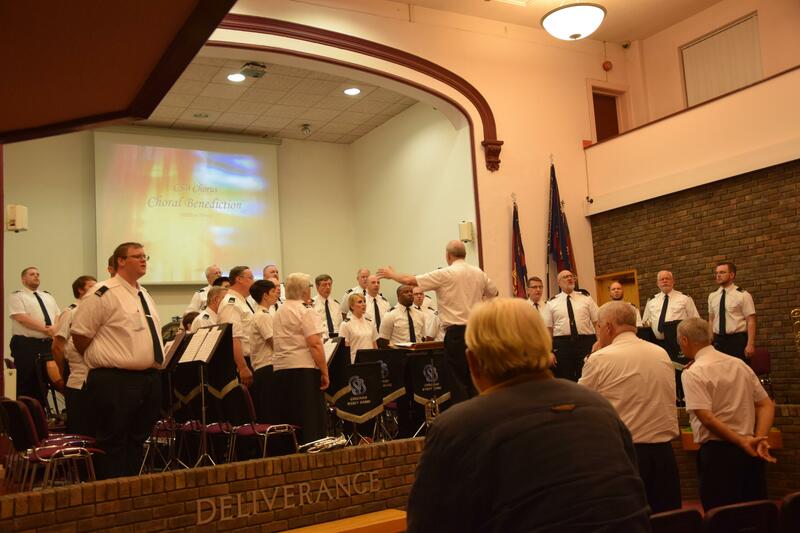 The band opened the evening with the march The Witness and then proceeded during the evening to communicate the message of God’s love and the reality of God in their lives. Being a staff band the music was excellent, featuring the solos Jublilance for Cornet, The Better World, Czardas, Now I belong to Jesus and Journey into Peace played and sung by Peggy Thomas, Shaun Thomas, Paul Bowyer, Meredith Thomas and Brett Tolcher. The testimony from Major Tim Meyer was a highlight for many in the audience. Thank you to the men and women from the Chicago Staff Band for your visit to Croydon. 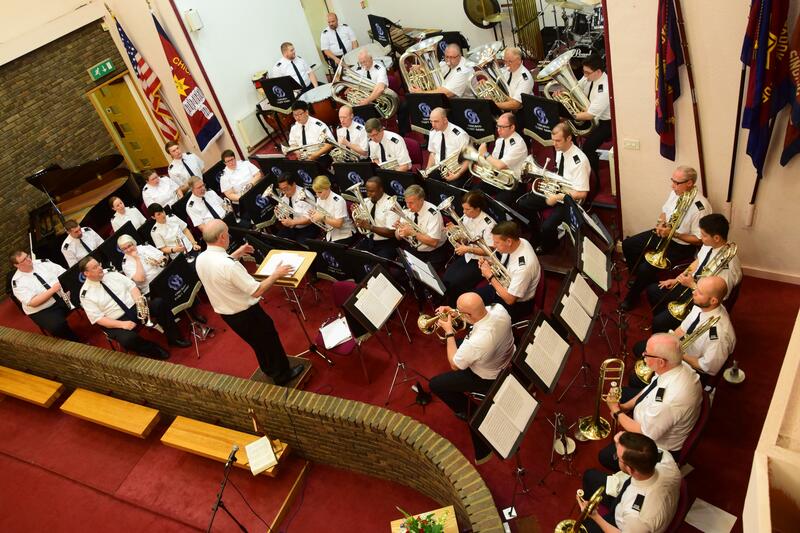 As part of their visit to Croydon Salvation Army the Chicago Staff Band visited Buckingham Palace in London and played in the courtyard in front of the Palace on the afternoon of Tuesday 30th June. Luke Wharton and Tom Nielsen were enrolled as Senior Soldiers on Sunday 24th May. We pray that Luke and Tom find fulfilment in this new commitment.